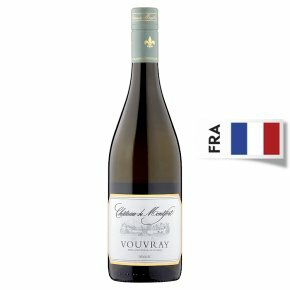 A luscious white wine which balances honey and apricot with citrus notes. Wine of France. Château de Montfort is an ancient fortified farm sitting amid well tended Chenin Blanc vineyards, on a hill, above the Loire river. This refreshing demi-sec style breathes subtle aromas of lime and exotic fruits with an intense and lively finish in the palate. Serve chilled as an aperitif or an accompaniment to seafoods, chicken and salads.